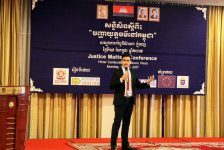 Phnom Penh – On 17 July 2017, on World Day for International Justice, celebrating the adoption of the Rome Statute, Destination Justice and the Ministry of Justice organised the Justice Matters Conference at the Cambodiana Hotel in Phnom Penh. 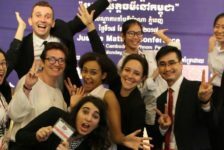 The Conference’s objective was to empower policymakers, practitioners, academics and anyone interested in improving the Cambodian justice system by developing and facilitating tools and collaborations. Of the 114 people who attended the Conference, 75% thought the objectives of the Conference were met. 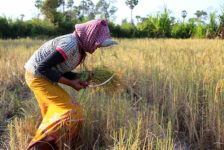 Featuring discussions with experts and scholars from civil society, the royal family and the government, the conference included many panel discussions on various topics essential to justice in Cambodia. The first panel discussion revolved around international justice in Cambodia, as panelists reflected on the best practices of the ECCC and how such practices could be applied in local courts. The second and third panels discussed more exclusively domestic issues including access to legal information and legal aid. 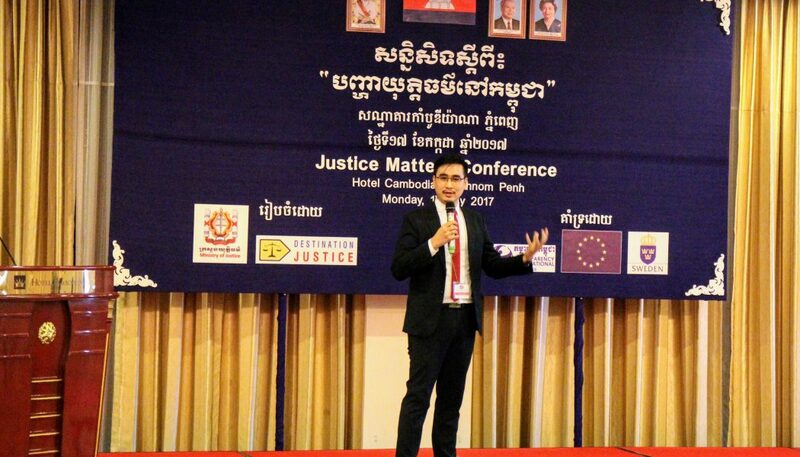 After panelists engaged in such important topics and, in keeping with the goal to create collaborative solutions for issues, the conference featured a pitch session where civil society organisations had the opportunity to pitch potential projects that would aim to improve justice in Cambodia. Young researchers and students were also featured at the conference. 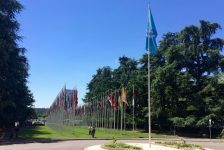 Specifically, the conference ran a parallel call for papers and video competition, and the winners of each had their work presented and celebrated. 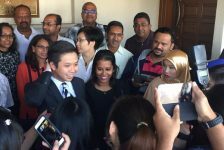 These sessions showed the importance of engaging youth to support a future of justice and collaboration in Cambodia. 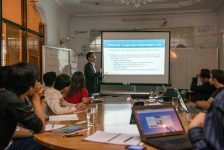 The Conference, made possible by the support of Transparency International Cambodia, the European Union and the Swedish Embassy, proved to be a successful and engaging day debating important topics related to legal issues in Cambodia. The conference illustrated that, through collaboration and sharing of ideas, we can strengthen justice in Cambodia and abroad. Khniom Chang Doeung: What is SOGIE?